Mooresville, NC (April 13, 2015) Iredell Brewers United will host a Home Brew Demonstration on May 2 in honor of AHA Big Brew. 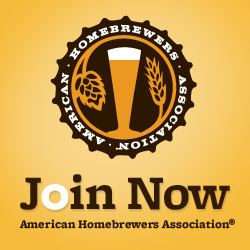 The American Homebrewers Association (AHA) created AHA Big Brew as an annual, worldwide celebration of National Homebrew Day. AHA Big Brew is held each year on the first Saturday in May and brings together thousands of homebrewers from around the world, all brewing the same beer recipes. At 1 PM EDT, homebrewers raise their glasses of homebrewed ales and lagers for a simultaneous toast to homebrewing, a hobby that hundreds of thousands of people all over the globe enjoy. More than 8,000 beer enthusiasts from North America, Europe, Africa, Asia, South America and Australia are expected to participate this year. It is easier than you think to make great tasting Craft Beer at home. Come see how local, Award Winning homebrewers do it! Iredell Brewers United is happy to invite anyone interested in homebrewing Craft Beer to stop by from 10 AM to 5 PM on Saturday, May 2, 2015 to join the fun! For more information on AHA Big Brew, please visit the Events section of HomebrewersAssociation.org. This entry was posted in Announcements, Brew Days, Club Events. Bookmark the permalink.